Tanzy, a garden-fresh Italian dining concept and winner of Open Table’s “Diners’ Choice Awards” features a locally-sourced menu of quality seafood selections, handmade pastas, and specialty composed dishes as artful as they are flavorful. Boasting an award-winning wine selection, mouthwatering handmade desserts and craft farm-to-glass cocktails by Corporate Sommelier/Executive Bartender Adam Seger, Tanzy serves as the perfect backdrop for any occasion. 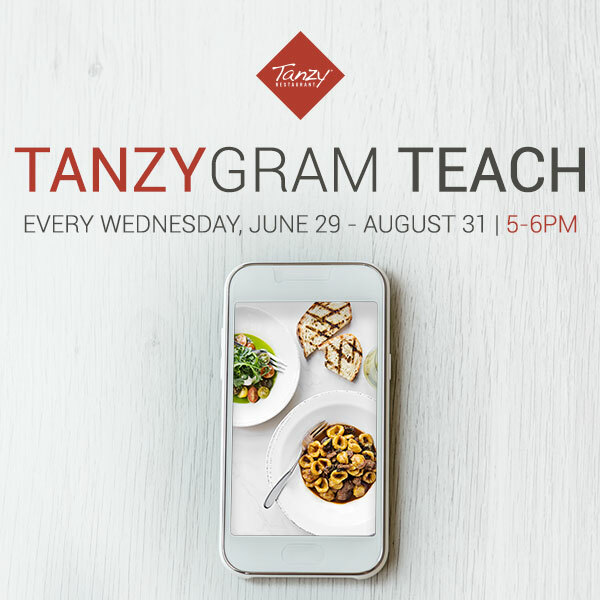 For the first time ever, Tanzy invites restaurant guests to play with their food and engage their creative side in a fun educational atmosphere led by one of Scottsdale’s top digital photographers Robert Dubé. Centered around a specially curated tasting menu, this delicious hands-on photography workshop begins June 29 and continues every Wednesday evening through the end of summer exclusively at Tanzy Scottsdale. The series, sponsored by Scottsdale Quarter and Warby Parker, allows guests to partake in the devouring of the five tapas-style dishes provided during the course for a $15 charge. Participants and fans are encouraged to post their images using the hashtag #TanzyGrammingSQ to keep up with the fun. Dubé’s courses will teach participants to snap photos from their smartphones, with one photo chosen by the chef each week—known as the “EAT ME” picture—awarding a $25 Tanzy gift card to the winning photographer. Tanzy offers a fresh, modern take on traditional Italian cuisine in an imaginative and eclectic atmosphere featuring an award-winning beverage program by Corporate Sommelier/Executive Bartender Adam Seger. For more information, visit www.tanzyrestaurant.com.